Pink Lemon Twist: Happy Birthday! Happy Birthday, Logan! You are a sweet and beautiful dog. That was lovely. Just lost my sweet girl at 15 a few months ago, so I was luckier than you with Finn, but I still miss her so. But you and Logan make me wonder. Happy Birthday, Logan ... you are growing up to be quite a fantastic boy! Happy Happy Birthday Logan! I'm sure your day was extra special because you make your family's days all very special. Happy Birthday, Logan! You're such a beautiful boy, and I know you've made your family so happy. There's nothing better than a great big puddle of doggy love, is there? Happy birthday, Logan! I hope you got the hot dog on our special day, and didn't have to resort to your eternal optimism. Hey, Happy Birthday Logan. 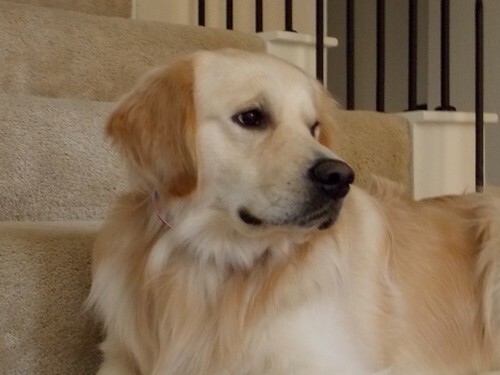 Your cousin up here in Delaware is doing great...and our Golden loves to counter surf too.....it must run in the genes cause we have never had a counter surfin dog before.